In a project, Activity A has a duration of four days and begins on the morning of Monday the fourth. The successor Activity, B, has a Finishto Start (FS) relationship with A. 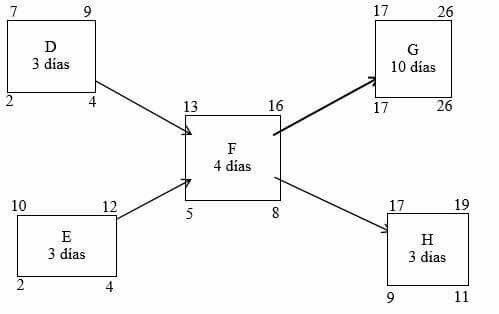 The Finish-to-Start relationship has two days of lag, and Activity B has a duration of three days. If Saturday and Sunday are non-working days, which of the following statements is true? C. Activity B will be completed by the end of the day on Friday, the 15th. Vocal inflection accounts for how much understanding of verbal communication? Which of the following statements related to the work breakdown structure (WBS) is false? A. Helps in the identification of work package dependencies. B. Provides a graphical image of the project hierarchy. C. Identifies all the work to be done. D. Can assist in estimating durations and costs of work packages. Ans: A. (WBS does not show dependencies, only network diagrams depict dependencies). B. But I am still concerned with the term “availability”, but this is the closest bet. Comment: Correct, that is the main focus of the new process according to PMBoK 6th edition. A1 I would say this is a Resource Constraint. So may fit in being A Limitation. It would be a risk if the resources are needed 100%. Again, should depend upon the project phase. Constraint in Inititiation, Risk in planning and Execution. A2 It would be more easy to finalize between the options A and B, if the status of the project is mentioned. I thought, the project is planned with 100% resource availability and when the resources are restricted to 70%, there will be a risk of delays in the project due to resource deficiency. Deals with removing/dealing with the biggest constraint first and then move to the next. I would say B. Question : One of the goals of your current project is to automate a current process that is currently done manually. What is the best quality tool to use in this situation? Answer is C : Option A is nearly correct, Flow charts are more appropriate to determine cost of quality. The main object at the planning stage is to determine, whether updating the process system to automation is beneficial in terms of cost saving during it`s life cycle, compared to the cost of quality. Cost benefit analysis is the correct tool to justify the project. After completing the quantitative risk analysis you determine that the project has a 15% probability of finishing later than planned and 10% probability of experimenting a budget deficit. What is the probability that the project will end in time and within the approved budget limit? Which of the following is an input to the WBS dictionary? Correct answer is A. The activity list is an input. 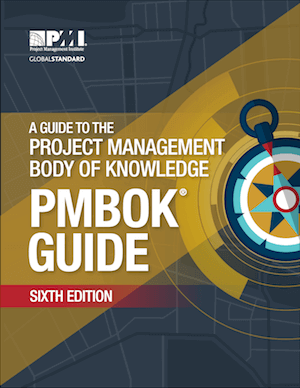 PMBoK 6th Ed. page 162. If an investment in a project returns 15 percent annually, how much should you invest to get $5 million by the end of the fifth year? I do hate to be a stickler, but the context is very important. Ashok, nothing in the question suggests it’s based on the data date. It says the sponsor wants to know what’s going on based on that graph. The whole point of EV is to provide objective performance indicators – not to have people guess what the data means. Which of the following is an example of a rough order of magnitude (ROM) cost estimate? Ans is A. rough order of magnitude = -25% to +75%. range of estimated cost..150,000(-25% to 75%)= 150k-25% of 150k =112500, 150k + 75%of 150k = 262500. How did you find estimated cost =150k ? So the ratio is 2.333. On a control chart, if six consecutive plot points are above the mean, then what can be established about the process? B. The process will be out of control after plotting the seventh point. I select A. …l…Rule of seven is heuristic and does not specify accurate definition. It is not about seven points or six points or eight points, it is about series of readings occurring on one side of the mean. In such cases, the process needs to be investigated. Some processes are very sensitive and very small deviation results in big changes, if we consider such sensitive processes, we can say the process is out of control. REALLY I DON`T KNOW, HOW THE EXAMINER THINKS. B. Very competitive price can be got by value engineering. Correct, but how about the other requierements. Value Engineering will not help you develop them….key to the question is development! Extra Comment: On PMBoK 6th edition section 2.2.1 page 38; internal enterprise environmental factors, the 5th down is resource availability. Correct answer is B. The project management plan only includes cost related to the project. It can not include maintenance and operational costs because they are not part of the project budget. Ashok Nadagoud, sorry to disagree but look at graph 6-16 on page 211, they are using the Day 1 method on that example. The project sponsor has requested a root cause analysis to determine why the project´s CPI = 0.80. After carrying out a cause-effect analysis you determine the following potential causes. Which of these potential causes would be the least likely main root cause of the problem? A. Inflationary pressures have increased the cost of raw materials that are being used in the project. B. Implemented work arounds have a much lower level of effectiveness than expected. C. Resources with much more experience than planned are being used in the project. D. Several milestones have negative duration variances of because they have been much more complex than expected. Question : In an important meeting, you are addressing all team members of the project regarding fast-tracking the project. Many team members could`t understand the subject, due to your low voice. As per Albert Mehrabian`s theory, vocal inflection accounts for how much understanding of verbal communication ? Which of the following can provide information related to the level of stakeholder risk tolerance that can be used to establish the risk thresholds for the project? ABC,inc. just hired you as project manager for a new project code name Nautilus. ABC is a weak matrix organization. How do you get cooperation from the project team and stakeholders. A. By using the project manager expert power. B. By using the project manager reward power. C. By using the project manager formal power. D. By using the project manager referent power. A. The project manager doesnot have powers of formal and reward. Best option is expert. B. But I am still concerned with the term “availability”, but thus is the closest bet. Comments: Correct, that is the main focus of the new process according to PMBoK 6th edition. Comments: Sure, correct answer is B residual risk because a residual risk will come into light once the risk response plan is implemented (execution). If you have a residual risk it means that your risk response plan is not effective. PMI enfasis is that you appoint a person in charge of implementing the risk response plan, therefore is an output. Secondary risks should be identified and you may choose to implement a risk response plan for those risks. Contingency reserves can be determined in the quantitative risk analysis, but they have to be verified (cost-benefit analysis) in the risk response (the risk response plan can´t be more expensive than the risk impact (probability times impact) to the project. You are a PMP certified project manager who is managing a project that has high visibility in the organization. The profit margin (ROI) of the project is low and therefore it is extremely important that the cost estimates are as accurate as possible. While reviewing the estimated cost of several activities, you realize that the estimates of several activities are 10% greater than the historical information of several previous projects for very similar work. What is the first thing you should do in this situation? A. Require that the resources that provided the cost estimates of these activities explain the bases they used to carry out the estimates. B. Change the estimates because they contain dishonest cost buffers and this constitutes a violation of PMI code of ethics. C. Accept the cost estimates to increase the level of commitment and develop the spirit of the project team. D. The 10% increase is related to the expected inflation and therefore constitutes a parametric estimate made by the members of the project team. A. According to Rita Mulcahy´s book (9th edition) it´s an example of mitigating the risk impact. I think the reason is that conflicts are inevitable (Rita and PMI emphasize that reality), therefore you can only reduce de impact. You say it very well conflicts can be settled more efficiently, but only after the conflic arrises. Hint: Carefull the question is what´s not…. D. Correct. Why? that´s what you folks need to understand for the test. Recognition and rewards is a planning activity, more important it has nothing to do with resource performance evaluation which is done in execution. Remember that recognition and rewards are usually part of project post mortem where critical success indicators are verified and if they are complied the reward or recognition is confered. What is the main difference between business risk and pure risk? Which of the following activities is the last one that takes place as part of the administrative closing? You are in the process of Source Selection for a contract for your project. You are planning to use weighing process for source selection. There are four vendors being considered. There are two deciding factors price (weightage 40), quality (weightage 60). The scores of four vendors that your team has computed are displayed in the table below. Which vendor among these four should be chosen ? You are the Project Manager for a large construction project and when you discover that the SPI is 0.8, you realize that you’re not going to hit your end date. The project may be delayed by at least three months which may impact the start date of another project, that was due to start right after this project is completed. What type of float best describes this situation ? Qtn. During the make – buy analysis you find that there are sunk costs. Should you include them as part of your analysis? A. Yes, they are direct costs and should be included in the cost baseline. B. No, they should not be included in the make – buy analysis. C. Yes, they are fixed costs and should be included in the cost baseline. Back by popular demand…here we go! The project team members informe you that the constant pressure of top management is causing a lot of tension and conflicts between members of the team. Which of the following would help to reduce tension and improve the cooperation between the members? (Choose the best answer). QUESTION :The project sponsor asks you to submit a report on the project which is half way through and the sponsor is specifically keen to know whether the project performance is improving or deteriorating from last few months. Which would be the appropriate type of report to submit ? Progress report as name indicates, is a report showing the works completed, could be in terms of %works completed or in the format of a bar chart. Status report is almost similar to progress report, but the status is compared against the baselines. EV report shows the amount earned against planned amount or actual amount spent. Trend report shows, over a period of time, the project performance is improving or deteriorating. Which of the following statements is true? (Choose the best Answer). B. BAC is represented by the sum of the PV plus the contingency reserves. C. Bac is represented by the sum of the AC plus the contingency reserves. D. BAC is represented by the sum of the control accounts. For a contractor in which of the following situations is it better to sub-contract part of the work to which it was committed through a contract with an external client? (choose the best answer). A. The work requires specialized knowledge in environmental regulation matters. B. The work that is going to be subcontracted represents the majority of the total work that must be carried out. C. The work must be completed on a mandatory date that has penalty clauses for late delivery. Abhishek Garg You need to align the characteristics of the leadership style with the key characteristics of the methodology which in this case is agile. As said above, Agile methodologies usually have the following characteristics: allow the team to make their own decisions and establish their own goals; which is the same characteristic as a laissez faire leadership style. 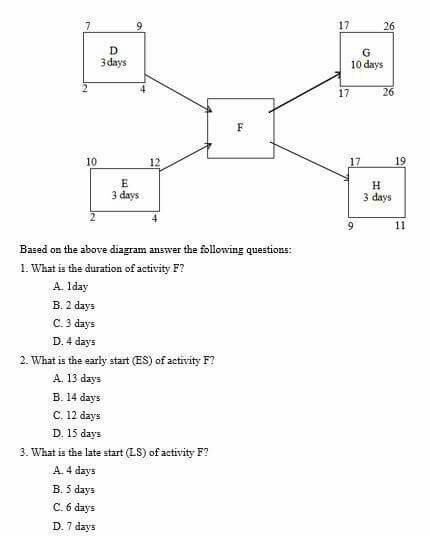 Answer is B. ………. Project float is the delay a project can incur without delaying a succeeding project. Total float addresses delaying the activity without delaying the project end date. Free float addresses delaying an activity without delaying the early start of a successor activity. Slack float is a dummy word. George, the question states that, the project may be delayed by 3 months, which may impact start date of succeeding project. This is called project float. When the risk of Project Float arises, the Project Manager should fast-track or crash the project or combination of both, in order to curb the delays which may affect the succeeding project. Which one of the following is one of the requirements to develop a Project Charter ? 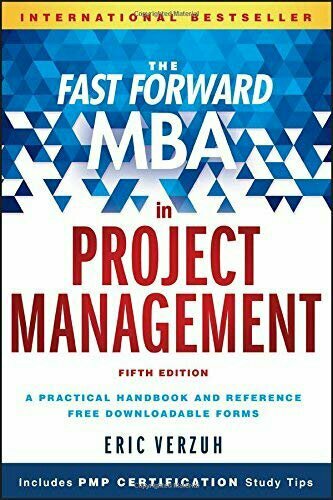 Option B is correct as, Concept design of the project is a high level (Basic) project design..
Option A is incorrect because Assumption `Log’ is an out put of the process Develop Project Charter. Note that `High level Assumptions’ are the inputs, NOT Assumption Log. Option C is incorrect because, project management plan is developed later in the planning stage. Option D. Stakeholder register is an out put of Identify Stakeholder process, project charter contains only names of key stakeholders. 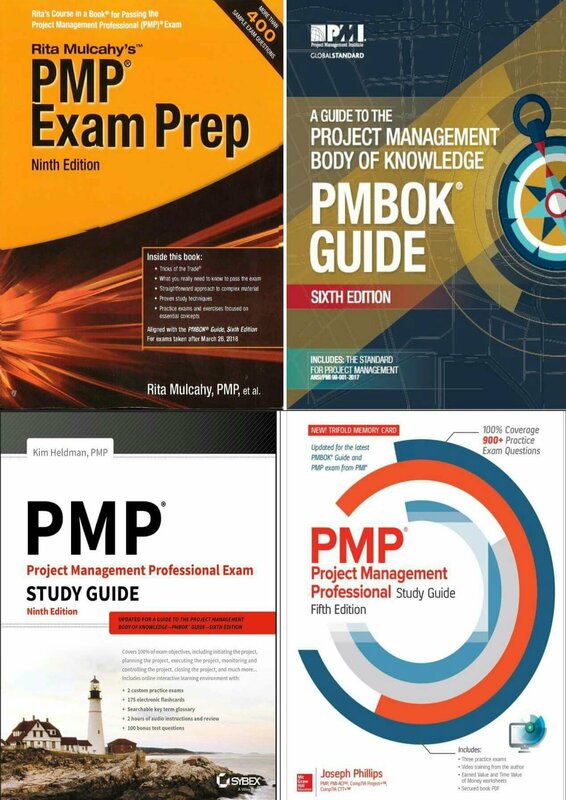 To prepare for PMP exam, you need to study PMBOK 6 and RITA MULCAHY REV 9 books. In addition, you may go through the questions in KIM HELDMAN and JOSEPH PHILIPS book. Later you need to take online mock tests. Q&A: 1. A project manager has a problem with a team members performance. What is BEST form of communication for addressing this problem? 2. Extensive use of ______ communication is most likely to aid in solving complex problems. 3. The work breakdown structure can be an effective aid for communication in which setting(s)? A. The project is delayed. B. The trust level is enhanced. D. Senior management is displeased. 5. Communications are often enhanced when the sender ______ the receiver. B. The customer requests additional work not covered under contract. C. The project has a schedule slippage that includes changes to the critical path. D. The project has cost overruns. C. Importance only when cost and schedule objectives are involved. D. Importance only to ensure he wins the negotiation. 8. A large, one-year telecommunications project is about halfway done when you take the place of the previous project manager. 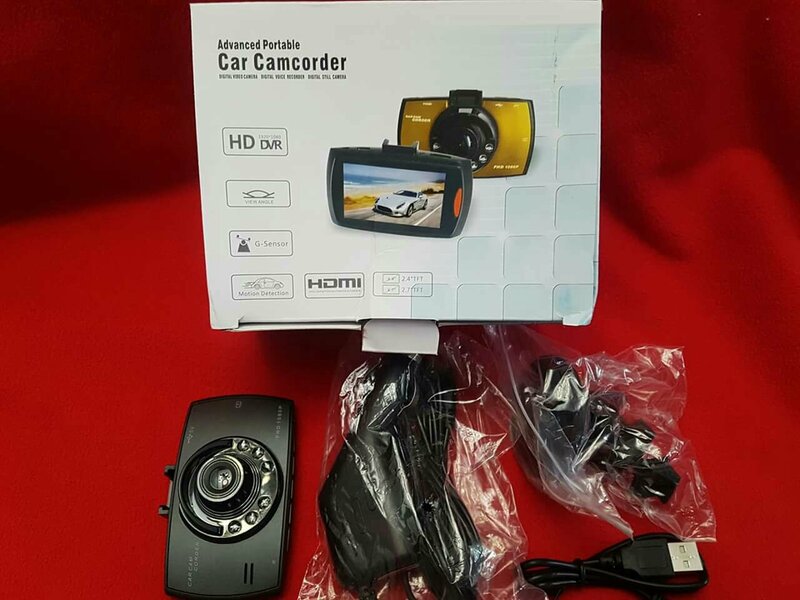 The project involves three different sellers and a project team of 30 people. You would like to see the project’s communications requirements and what technology is being used to aid in project communications. Where will you find this information? 9. Changes to some project deliverables have been documented in the project management plan. These changes, and other project information, have been distributed according to the communications management plan. One stakeholder expressed surprise to the project manager upon hearing of a documented change to a project deliverable. All stakeholders received the communication containing notification of the change. What should the project manager do? A. Determine why the stakeholder did not receive the information and let him know when it was published. B. Ask the functional manager why the stakeholder did not understand his responsibility. C. Review the communications management plan and make revisions if necessary. D. Address the situation in the next steering committee meeting so others do not miss published changes. 10. The project status report is an example of which form of communication? 11. Communication is key to the success of a project. As the project manager, you had three stakeholders with whom you needed to communicate. Therefore, you had six channels of communication. A new stakeholder has been added with whom you also need to communicate. How many communication channels do you have now? A. What is being said and when. B. What is being said, who is saying it, and the time of day. erisms and what is being said. D. The pitch and tone of the voices, and physical mannerisms. 13. A project manager has a project team consisting of people in four countries. The project is very important to the company, and the project manager is concerned about its success. The length of the project schedule is acceptable. What type of communication should he use? 14. The project status meeting is not going well. Many attendees are talking at the same time, there are people who are not participating, and many topics are being discussed at random. Which of the following rules for effective meetings is NOT being adhered to? A. Demonstrate courtesy and consideration of each other, and control who is allowed to speak. B. Schedule meetings in advance. C. Have a purpose for the meeting, with the right people in attendance. D. Create and publish an agenda and a set of rules for controlling the meeting. 15. You have just been assigned as project manager for a large manufacturing project. This one-year project is about halfway done. It involves 5 different sellers and 20 members of your company on the project team. You want to quickly review where the project now stands. Which of the following reports would be the MOST helpful in finding such information? 16. A team member is visiting the manufacturing plant of one of the suppliers. Which of the following is the MOST important thing to be done in any telephone calls the project manager might make to the team member? A. Ask the team member to repeat back what the project manager says. B. Review the list of contact information for all stakeholders. C. Ask the team member to look for change requests. D. Review the upcoming meeting schedule. 17. A project manager overhears a conversation between two stakeholders who are discussing how unhappy they are with the impacts of the project on their own departments. Stakeholder A asks if the project is on time, and stakeholder B replies that the SPI is 1.05. Stakeholder A asks if the project manager for the project knows of stakeholder B’s concern. Stakeholder B responds that he is not sure. What is the BEST thing for the project manager to do? A. Make sure the stakeholders see that the project manager overheard. Then ask them to direct any questions in writing to the project manager. B. Make a presentation to all the stakeholders regarding the status of the project. C. Send both stakeholders a copy of the issue log and ask for additional comments. D. Arrange a meeting with both stakeholders to allow them to voice any concerns they may have. ect manager wants to more extensively involve the stakeholders on the project. Which of the following would be the BEST way to accomplish this? A. Have the stakeholders periodically review the list of project requirements. B. Invite the stakeholders to attend project status meetings. C. Send status report to the stakeholders. D. Update the stakeholders on the status of all project changes. 19. During the middle of the project, things have been going well. The work authorization system has allowed people to know when to start work, and the issue log has helped keep track of stakeholders’ needs. The sponsor has expressed his appreciation for the team members’ efforts by hosting a milestone party. The project manager gets a call from a team member saying the results from the completion of her activity’s predecessor are two days late. Which of the following reasons would BEST describe why this occurred? A. The project manager was focusing on the sponsor’s needs. B. Functional management was not included in the communications management plan. C. The successor activities should have been watched, not the predecessors. D. The right people were not invited to the milestone party. 20. A project manager has just been assigned a team that comes from many countries including Brazil, Japan, the US, and Britain. What is her BEST tool for success? A. Record the effectiveness of the party in the project lessons learned. B. Review the information distribution methods on the project. C. Hold a meeting of all the stakeholders to discuss their concerns. D. Make sure the manager has a copy of the communications management plan so he is reminded that such concerns should be sent to the project manager. A. Exchange information about the project. B. Have team members report on what they are doing. D. Confirm the accuracy of the costs submitted by the team. A. Keep a file of what requirements were not included in the project. B. Make sure the change control process is not used as a vehicle to add the requirements back into the project. C. Maintain an issue log. D. Hold meetings with the stakeholders to go over the work that will not be added to the project. 24. The project manager is expecting a deliverable to be submitted by e-mail from a team member today. At the end of the day, the project manager contacts the team member to notify him that it has not been received. The team member apologizes and explains that he was not able to e-mail the deliverable, and it was sent through the mail instead. The team member goes on to remind the project manager that he had informed the project manager, during a phone conversation, that this would occur. “Was that the conversation we had when I told you I could not hear you well due to poor cell phone coverage?” asks the project manager. “Yes,” replies the team member. What could have been done to avoid this problem? 25. When do stakeholders have the MOST influence on a project? 26. The project has been going well, except for the number of changes being made. The project is being installed into seven different departments within the company and will greatly improve departmental performance when operational. The team has selected the appropriate processes for use on the project. The project manager is a technical expert as well as having been trained in communications and managing people. Which of the following is the MOST likely cause of the project problems? A. The project manager was not trained in understanding the company environment. B. The project should have more management oversight since it will result in such great benefits to the company. C. The project should have used more of the project management processes. D. Some stakeholders were not identified. 27. Stakeholders can be identified in which project management process groups? 29. A particular stakeholder has a reputation for making many changes on projects. What is the BEST approach a project manager can take at the beginning of the project to manage this situation? A. Say “No” to the stakeholder a few times to dissuade him from submitting more changes. B. Get the stakeholder involved in the project as early as possible. C. Talk to the stakeholder s boss to find ways of directing the stakeholder’s activities to another project. D. Ask that the stakeholder not be included in the stakeholder listing. Explanation The best choice is informal verbal communication. This does not mean you do not keep records of the problem, but it is best to start this discussion informally. If informal communication does not solve the problem, formal written communication is the next choice. Explanation Written communication allows your words to be documented, and they will go to everyone in the same form. When there are complex problems, you want everyone to receive the same information. Explanation The work breakdown structure can be used for communication vertically and horizontally within the organization, as well as outside the project. Explanation The major result of communication blockers and miscommunication as a whole is conflict. Explanation Understanding the receiver’s perspective allows the sender to direct the communication to meet the receiver’s needs. Explanation Everything we do is more formal in a procurement environment than in other project activities. Therefore, formal written communication is required when the customer requests work not covered under the contract. Explanation Nonverbal communication carries 55 percent of the message you send. With this much at stake, nonverbal communication is of major importance. Explanation Although the information is found within the project management plan, the communications management plan is the best answer because it directly answers the question. Explanation The question states that all stakeholders received the information, so the issue is not that this stakeholder did not receive it. The problem presented here illustrates that there is something missing in the communications management plan. The best answer is to review the communications management plan in order to prevent future problems and find any instances of similar problems. Explanation The project status needs to be known by many people. Therefore, it is best to present this information n in writing so that it can be transmitted to many people at once. It is also formal in that it is an official report of the project. Therefore, formal written communication is the best answer. Explanation Did you realize the project manager is part of the communication channels? Therefore, there are actually four stakeholders to begin with and six channels of communication. The question is asking how many total channels of communication you have with a team of five people. The formula is [N x (N-l)]/2 or (5 x 4)/2 = 10. Explanation Remember that nonverbal communication represents 55 percent of all communication. The choice including paralingual communication (pitch and tone), as well as physical mannerisms, is the best choice. Explanation Because of the differences in culture and the distance between team members, formal written communication is needed. Explanation Courtesy and consideration is not a “rule” for effective meetings. Since there is no indication that the meeting was not scheduled in advance or that there isn’t a purpose, these cannot be the best answers. “Discussed at random” implies no agenda. If an agenda is issued beforehand, people will follow the outline and should not need random discussions. Explanation The key word is quickly. The status report is too detailed for a quick look. The forecast report only looks into the future. The progress report summarizes project status, and would be the most helpful for a quick review. Explanation Questions like this drive people crazy. There are many choices that are reasonably correct. Look for the most immediate need. Here, the team member is in a manufacturing environment. That means communications will most likely be blocked by noise. It is best for the project manager to ask the team member to repeat back what he says, to ensure the team member correctly heard what the project manager communicated. Explanation This is another question with more than one right answer. Would asking for something in writing be the best way to communicate? In this particular situation, asking for the concern to be in writing might alienate the stakeholders. The issue log is where the issue should be listed, but the situation does not say if the project manager knows what the stakeholders’ concern is. Therefore, using the issue log cannot be the best choice. Why not make a presentation to all the stakeholders regarding the status of the project? The project manager already knows stakeholders A and B have the concern, not all the stakeholders. This problem would likely require informal verbal communication to discover the real problem. Arranging a meeting with the concerned stakeholders is therefore the best choice. Explanation It seems like all of these are good ideas, but having the stakeholders review the list of project requirements helps discover errors and changes, and could therefore be considered the best choice. unications management plan should also have included a method to communicate potential delays. Explanation Working with people from different cultures with different cultural values and beliefs necessitates an understanding of both basic definitions and areas of cultural impact. As project managers, we need to have good communication skills and a willingness to adapt to other cultures. Explanation Many of these choices could be done, but ask yourself, “What is the most effective thing to do?” The party may well generate lessons learned, and recording them would certainly be a good idea, but the question asked what to do first. There is a more immediate issue—the manager. Meeting with all the stakeholders could be useful, but there is only one stakeholder, the manager, who definitely has an issue. Besides, a good project manager would be holding regular meetings with the stakeholders already. Making sure the manager has a copy of the communications management plan might be a good idea, as the manager apparently is not communicating with the project manager. However, this would not be enough to ensure the manager does communicate. The manager is, in effect, saying he is not getting the information he needs. His lack of needed information is causing him to suggest more meetings. However, too many meetings are a problem on projects. A great project manager does not just add meetings, but solves the real problem in the best way. A goal of information distribution is to get information to those who need it. The project manager may decide to adjust the information distribution process by changing the format of a report or sending existing reports to the manager with the issue, rather than adding meetings. Therefore, the correct choice is to review the information distribution methods on the project. Explanation Team members’ reporting on what they are doing may best be done outside of meetings. The main purpose of status meetings is to exchange project information. Explanation This issue should be over, but since there were so many meetings and arguments about the requirements being removed, it is unlikely the issue will be dropped by the stakeholders. However, as it has not come up again and the project was started six months ago, spending time in a meeting is excessive. The other choices are easier, have less impact on the project, and are therefore things that could be done. Explanation The pitch and tone of voice (paralingual communication) is not relevant here, as the project manager could not even hear all that was being said. There were no issues recognized after the conversation, so none could be added to the issue log. This issue is not related to communications requirements, so that choice cannot be best Saying, “I am not sure I properly heard what you said,” during the conversation or repeating the message back to the team member would have prevented this problem. Giving and requesting feedback during the communication is the best option. Explanation Stakeholders have an impact throughout the project, but they must be identified and involved at the beginning of the project, in order to determine their requirements and expectations. If this effort is not done early, the results may be expensive changes and/or dissatisfaction later in the project. Explanation Once again, it is important to look for the choice that would solve the real problem. There is no reason to think that training, management oversight, or a need for more processes are factors contributing to the number of changes. The root cause is that stakeholders were missed and, as a result, their requirements were not found. Those stakeholders are now requesting changes to accommodate their needs. Explanation Stakeholders can be identified throughout the project. However, the earlier stakeholders are identified, the better for the project. If all of the stakeholders’ needs and requirements are taken into account before plans are finalized and project work is begun, fewer changes will be needed later in the project, when they will be more costly. Explanation This situation describes the need to “compare.” A trend report shows performance over time. A forecasting report looks only to the future. A status report is generally static (relating to a moment in time). The only choice that compares project results is a variance analysis. Explanation The project manager cannot avoid the stakeholder, because he has a stake in the project. The project manager can say “No,” but this does not solve the root cause of the problem. There may be some good ideas within those changes. The only choice that deals with the problem is getting the stakeholder involved in the project as soon as possible. Changes generally arise due to lack of input at the beginning of the project. If the project manager begins effective communication with this stakeholder early, there is a much better chance his changes will be discovered during the planning process, when they will have less of an impact on the project. Explanation When we talk about contracts, everything we do is more formal than in other project activities. Records are also important in procurement, thus the need for written communication. Located 72 and 192 approx. Pickup within 72 hours pls. You need to remove the protective film before you install the DVR. The project has 105 communication channels in the planning phase; in the execution phase the communication channels increase to 300. What is the net increase in stakeholders in this project? B. Hope my understanding was correct this time. My experience shows that $2,100 is the minimum possible EAC because at this stage of completion (2/3 complete) performance trends are well established. Sorry Jose S. Morales Brunet but Ron DeJonckheere’s question about your source is valid. The “ascending ETC” formula is not logical. Another way to think of it is the remaining PV is $400. If remaining work is performed at the same cumulative efficiency of .75, AC would be $700. Added to the $1,400 AC, the final cost would be $2,100. I hope this helps people understand. A very important final point is that formulas are no substitute for management. Think of it this way – you explain to management “If performance continues as we have seen to date, this would be an estimate. However, if it improves to X (or deteriorates to Y) this would be another estimate. That kind of discussion will help to identify and clarify risk and to make better-informed decisions by understanding the range of possible estimates, not a point estimate blindly using a formula. The Project Manager has to make a decision between buying a computer system or leasing it. The cost of leasing the computer system is $ 265 per day. If the computer system is purchased the cost is $2,750, in addition it has maintenance costs of $ 15 per day. How much time is required for leasing to be the best decision you can make in this project? CThe 15 per day is on the purchase not the lease. 265* x = 2750 + 15*x, by rearranging 265x-15x = 2750, therefore 250x = 2750, hence x = 2750/250 = 11 days. It is exactly 11 days, so less than 11 days would be better for leasing.